While when one travelling no one ever consider on thinking or at least planning in advance that how much taxi fares will be, but this have to be consider as one of the most important task. Reason because when one travels, s/he keeps a planning of all things well in advances, but missing such a factor will result in nothing but harming the whole budget. 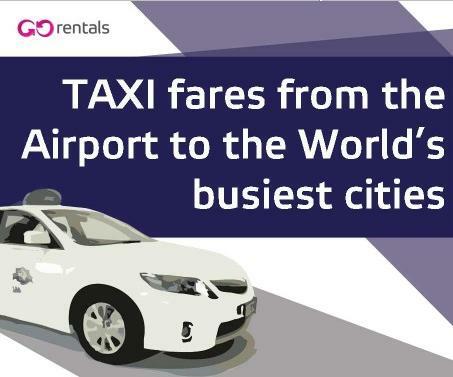 The infographic below by GO Rental shares about taxi fares from the airport to the world’s busiest cities.